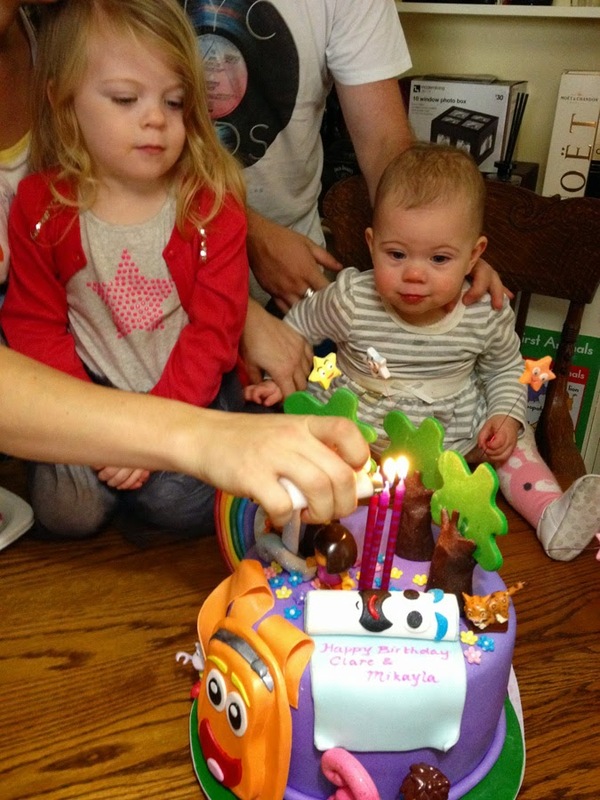 Today was my adorable little granddaughter Mikayla's 1st birthday party. She was born 2 days after we left on our Aussie Adventure, but I flew home to meet her. Then when she was 6 months old I had some time with her. Not being able to bond with her in her first year was one of the downfalls of being away for so long. When we got home last Thursday she didn't know who I was and wouldn't have a bar of me, but after a couple of days around her beautiful little smile we have started on our new relationship. 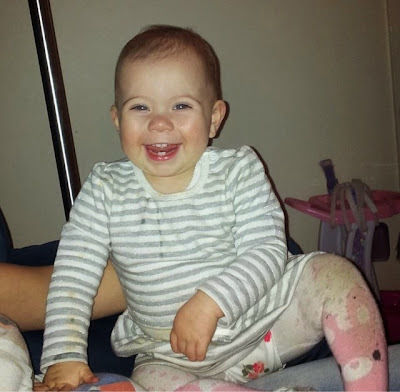 She is such a happy smiley little lady and I am so happy she chose to join our family. Her big sister Clare shared in the party today as it is her 3rd birthday next Sunday. 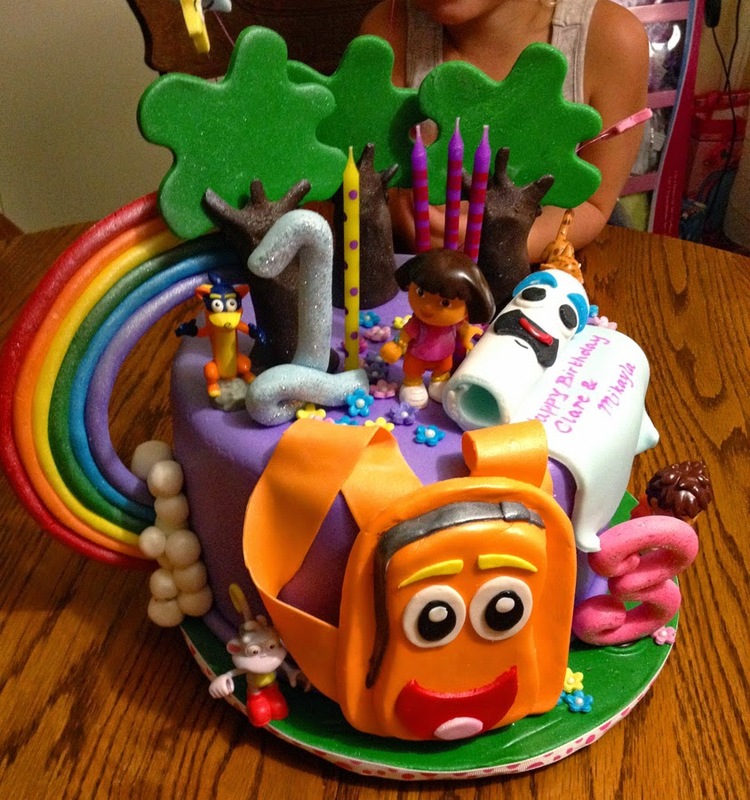 The girls had the most amazing birthday cake, it was so colourful and exciting. All the kids loved it and were all bouncing off the walls after eating it and lots of other surgery treats. I feel a bit sorry for all the Mums tonight. It was a wonderful day, I just love seeing how little people see the world.